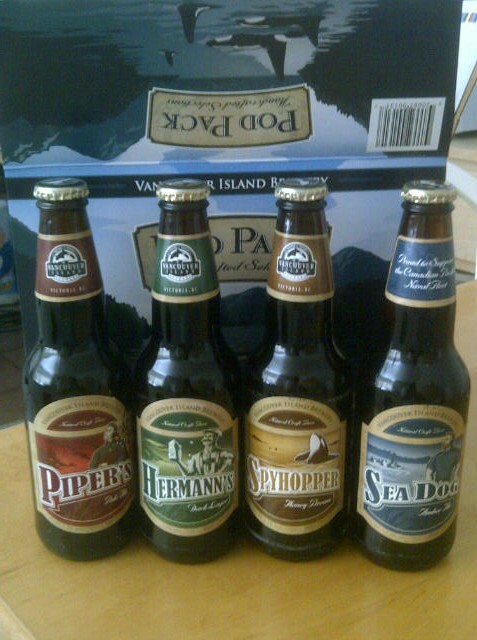 From Victoria BC’s Vancouver Island Brewery comes the “Seadog Amber Ale”. 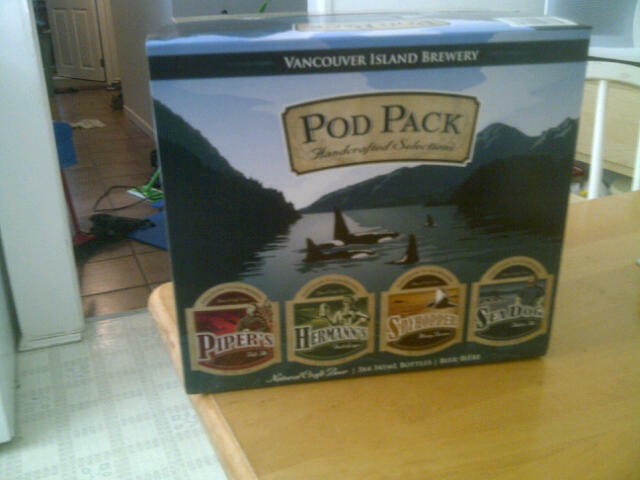 This beer has been created in honour of the Canadian Pacific Naval Fleet that resides in Victoria. The beer pours an amber colour with a white head. The aroma of this beer is malty, with some light sweet caramel. The taste of the beer is similar with malts, sweet caramel and a very mild hops. This beer is not very strong in flavor but it is very tasty none the less and goes down a little to easy! The beer has an alcohol content of 5.2%. 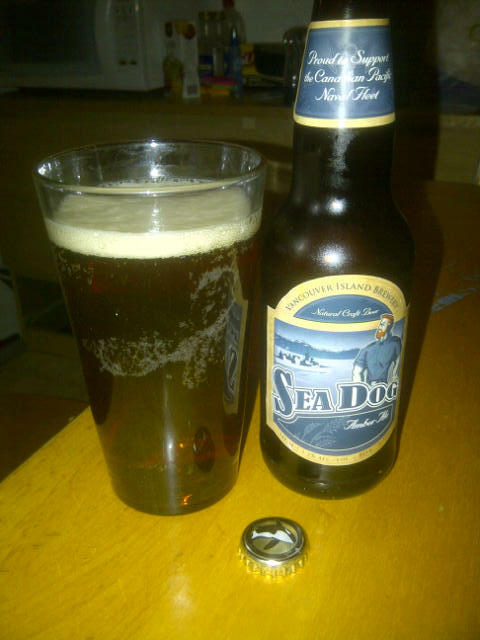 This entry was posted in Amber Ale and tagged bc, beer, canada, canadian navy, caramel, light, malt, malty, mild, mild hops, navy, sweet, victoria.